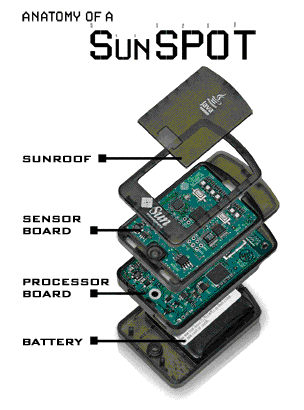 Today SUN announced that they are going to open source SUN Small Programmable Object Technology (SPOT). For the press release take a look at the SUN press room. If you are interested you can order a development kit for 299$ and you will get two SUN Spots and a base station. Bot devices with processor, radio, sensor board and battery and the base station only with processor and radio. For more appetizers take a look at this site (some movies about SPOT at youtube).